2 bedrooms. 2 baths. 2 levels. Sleeps 6. Beautifully designed luxury condo in a very quiet and private spot here at Turtle Bay. Recently remodeled in January of 2017. We now have his-and-hers sinks, soaking tub, king bed, new oversize fridge, smart TV, and some really lovely finishings and furnishings. We are set far from any roads or traffic areas in a quiet spot on the more desirable East Side. We are just a 30 second walk to the pool and just a 4 minute scenic stroll to the beach along the golf course. This luxury unit is great for families who want more space than a hotel room or for couples who want a unit that feels more like a house. It's great for a family getaway, yet also designed with honeymooners and romantic getaways in mind. The condo comes fully stocked with all the essentials as well as plenty of beach gear and ocean items. Just bring your shorts. Exclusive surf rental discount. : All our renters receive an exclusive 35% discount on all ocean gear and surf board rentals at The North Shore Surf Shop. For those of you who are coming here to play in the ocean or catch some waves that is a really nice bonus. Hope to see you here on Oahu's fabled north shore very soon. Aloha. Long time North Shore residents. View more about Mark W.
toilet, combination tub/shower, His and her sinks. toilet, combination tub/shower, Soaking tub, and hand held shower only. Master bedroom only. Not central a/c. We stayed for a week during spring break and were super happy with our accommodations. One major benefit to this condo was the abundance of sleeping space. Many others we looked at would’ve required our kids to share a bed, which never goes well for us. This one has a queen with a twin trundle in the upstairs loft AND a pull-out couch as well. We didn’t use the pull-out couch, but our girls enjoyed trading off between the queen and the trundle every night! We had everything we needed for fun at the beach, to be able to cook meals, and just have a comfy space to hang out in. Great condo! Condo had everything we needed and the host/mother of the owner was very sweet and helpful. The pool is very close by and the resort is a short walk with beach access. The condo itself was very quiet overall and we look forward to going back some day. Overall we enjoyed our time at this VRBO. It was lovely, clean and nicely decorated. There were a few things we found to be different from the property/amenity description, but they weren't huge. It was not a 4 minute walk to the beach, it was more like 10 or 15 min depending on how fast you walked. Also some things that we felt were a little inconvenient was there was no working towel hangers or towel bars in the bathroom so we found ourselves with lots of towels draping all over so they would dry. There was no Baby Crib in the master Bedroom as advertised, which would have been nice since we were traveling with our 6 month old baby. We also had to purchase our own toilet paper, paper towels, and kitchen dish washing soap, and trash bags as there were no extras provided ( aside from the 1 half used roll that was there when we arrived ) . Beverly, Marks Mom was lovely to work with, and responded to my texts in a timely manner. Overall we had a nice stay, it was just the little things that we were thrown off by. Very clean and such a nice place to come back to after a day of adventure. 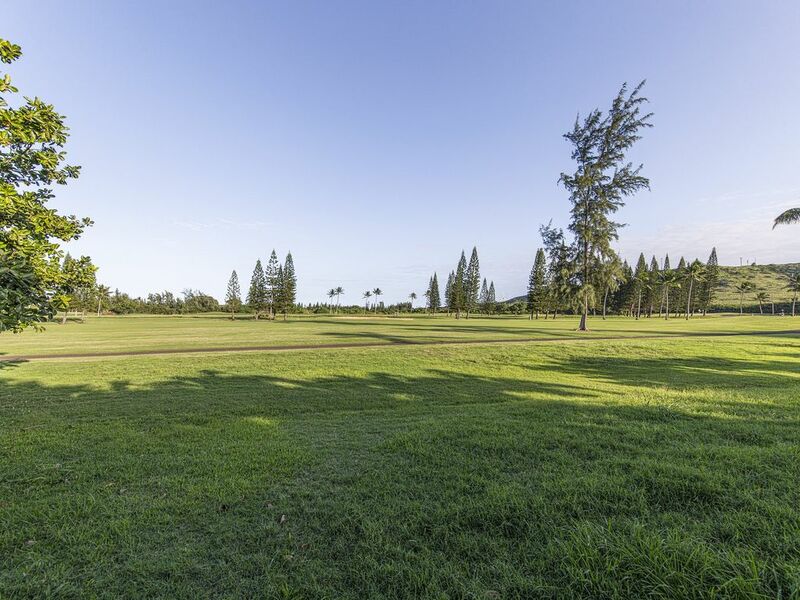 This is a well equipped condo near Turtle Bay and much calmer Kuilima cove. The owners were very responsive and helpful. The bed in downstairs bedroom was very comfortable, but upstairs not so much. Overall it was a great stay. Cancellation policy: 30 days or more in advance= 80% refund of total amount due for entire stay. 16-29 days in advance= 50% refund of amount due. 15 days or less= 0% refund. If we are able to re-rent all your canceled dates, we generally give a refund of 100% as a 'courtesy', however our official policy is as stated.